Illuminated Planters - Light up your garden Ora Home Ltd.
Our illuminated planters will not only make your planting look fantastic, but will also send out a very powerful message about you or your establishment. 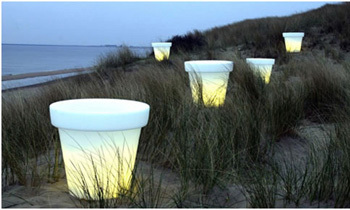 By day they look stunning in cool colours and contemporary designs and by night your garden or terrace will be transformed into an illuminated outdoor space that you will want to relax in, socialise in and generally enjoy. 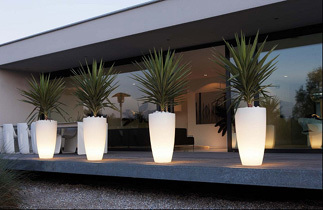 Our products look fantastic internally or externally and are safe to use for both. 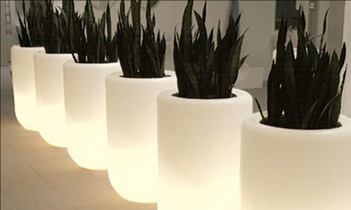 Whether for use in a Hotel, Restaurant or in your home they will create a real wow factor.